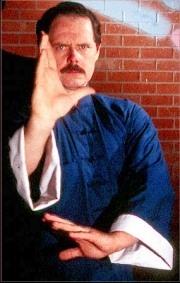 Dr. John Painter is one of the pioneers of Chinese internal martial arts in the United States. He has been learning and practicing Jiulong Baguazhang, Taijiquan and Xingyiquan from the Li family’s system as far back as 1953.That is long before the general public had heard of Karate or Judo. Chinese martial arts were almost totally unknown except to a select few Chinese living on both coasts. There were few, if any, books written on oriental martial arts of any kind in the United States when young John began training with his instructor Master Li, Longdao. John P. Painter was born in East Texas during the 1940′s. As a baby John almost died at birth from serious medical complications. His early childhood until the age of thirteen was a series of one illness after another. As a weak and sickly child, he was unable to participate in many of the sports that other Texas boys engage in. Shortly after his thirteenth birthday, John was introduced to the teachings of an elderly Chinese gentleman then living in East Texas with his son and family. It turned out that the man was a Chinese internal martial arts master. His family had moved in next to the Painter’s. Mr. Frank Li, (Li Longdao) had been well respected in China’s Sichuan province as a scholar and martial arts bodyguard before the Communist revolution. John spent many hours keeping the old man company. Mr. Li took an interest in the sickly young boy and soon recognized John’s frailty. In 1957 he began to teach young John to practice a special game called stand like a tree or Quiet Standing. Mr. Li told that him Master Li, Ching-Yuen, a relative of his, had created this method as part of his Baguazhang health practice. John was told that if he mastered the exercise Mr. Li would teach him the Daoqiquan boxing art just as if he were one of his sons. Mr. Li explained to the young boy how to look inside and seek his internal strength; this would make him better. The training was effective and due to the Bagua-Qigong training, John Painter began to grow stronger both internally and externally; his chronic illness diminished. Mr. Li was impressed with the boy’s dedication. His son and grandson had become so westernized that they were not interested in the family heritage or martial art. Mr. Li began teaching John and a close family friend his 400-year-old martial art of Daoqiquan. The two boys were accepted as if they were his own sons. John Painter slowly learned the core of the Daoqiquan family system that consisted of Qigong as well as street-wise practical Baguazhang, Xingyiquan and Taijiquan martial arts and classical weapons systems. In 1969, sick at heart at his own son’s lack of interest in the family style, Mr. Li, heedless of the communist control of China, left Texas to return to his beloved Sichuan. Before he left he gave John Painter a letter of commendation and adopting him as one of his own sons made him the inheritor, Wushu Zongshi, Shifu of the Daoqiquan style. Mr. Li asked John to continue his practice and told him to keep the art alive by teaching others who were deserving. It was his teacher’s wish that the methods of this once secret family art become available to everyone in need of health and peace of mind. John attended Texas Tech University, with a double major in Psychology and Performing Arts. His specific area of study in psychology was hypnotherapy and psychotherapeutic healing. In theatre he specialized in Shakespearean drama and performing magic and escapes. Later he returned home and worked part time as a “Special Deputy” assigned to the rescue team of the County Sheriff’s office. He married and moved to Dallas, Texas. At Six Flags John met retired Special Texas Ranger C. V. Allen. The tough old man was working at a western shop. John and Ranger Allen became fast friends. It was Ranger Allen who encouraged John to work with law enforcement and who taught him his “Texas Street Fighting”, Spanish Knife and combat firearms handling. In a Dallas nightclub John thwarted a murder on a very wealthy socialite. The woman offered him a large sum of money to protect her. John was again thrown into a life of guns, fast cars, fists and violence. He embarked on a sideline career as a bodyguard. Here, his internal martial arts ability and proficiency with firearms and edged weapons won him a considerable reputation among the Dallas elite, wealthy nightclub patrons and the local underground known as the Dallas Mafia. After receiving numerous wounds and surviving several gun and knife fights in Texas, California and Mexico while protecting his clients, the stresses of such a dangerous life and a desire to work in law enforcement, not against it, soon took their toll. John Painter turned down a king’s ransom to be a personal bodyguard to a local organized crime boss and stepped out of the dangerous life of a bodyguard and retreated from the drug infested nightclub world forsaking the hectic, dangerous life. to work. How did it revitalize the body? What was the real secret behind the concepts of healing with internal energy? He enrolled in graduate and then doctoral studies, and received a Ph.D. in Naturopathic medicine with emphasis in Chinese Acupressure and physiotherapy. 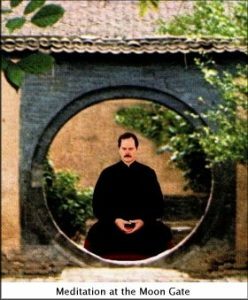 Dr. Painter then began to practice the mental and spiritual side of the internal arts with a renewed vigor, using meditation, nutrition and the Qigong and Baguazhang of his teacher. He began instructing a few friends and co-workers from Six Flags in the internal arts. 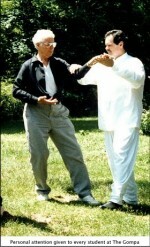 Dr. Painter was so impressed with the results he and his students obtained from the Bagua-Qigong that in 1973 he opened the Tao Ch’i Ch’Ãan & Life Sciences Ch’i Research Institute, began training instructors and taught the first formal classes in internal style Chinese martial arts to the general public. The training center was one of only five such schools in the entire United States, teaching Western students the physical, mental and spiritual aspects of the Chinese martial and healing arts. 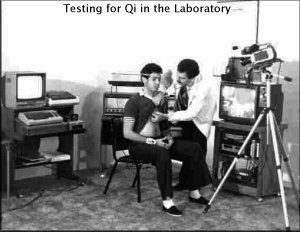 By 1988 Dr. Painter had changed the name to the Wholistic Fitness Center Tao Ch’i Life Sciences Institute and by 1993 the Center had instructed over 4,000 students in the Daoqiquan systems. Becoming convinced that the answers to the riddle of Qi as an internal life force were hidden in the way the mind influenced the body, he began intensive studies of bio-feed back, autosuggestion and neuro linguistic programming. He trained and became a clinical hypnotherapist, treating hundreds of clients at the Life Science Ch’i Institute for chronic pain, habit control, stress management, psychosomatic illnesses and other ailments. Dr. Painter found that many of the phenomena attributed to Qigong as a healing modality could be explained through the use of hypnotic suggestion. A strong belief in the self or the healer coupled with the use of a strong mental imaging were prerequisites for all methods of so called Qi and psychic healing. Experiments in meditation and Qigong healing phenomena also showed a great deal of Qigong energy resulted from suggested images acted upon by the unconscious mind which in turn influence the body’s healing responses. Although he admits he is still learning and he does not know all the answers, Dr. John Painter feels he has found a way to define, understand, identify and manipulate what the Chinese refer to as Qi or the body’s internal energies. Now his goal has become to explain the process in a simple and easy to understand manner for use by everyone interested in the subject. For his work as a researcher in the field of life force sciences, Dr. Painter has received an award from the National Aeronautics and Space Administration (NASA) for contribution to space life sciences. He has been honored by world health and peace organizations for humanitarian contributions to the well being of mankind through his work in the internal arts. 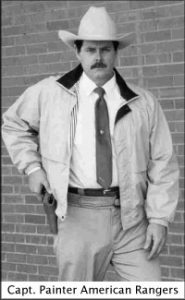 In 1980, turning his attention back to the martial side of his arts after seeing many of his friends killed or hurt in law enforcement due to poor defensive tactics skills, Dr. Painter began the American Rangers Law Enforcement Martial Training Institute. The goal of the Rangers is to promote better mental, physical, tactical and stress management training for peace officers in civilian and military operations. His other law enforcement work involved teaching defensive tactics to Military tactical trainers, FBI, DEA and special police officers, as well as being commissioned as an honorary Texas Ranger by the former Secretary of State of the State of Texas. Today, in 1993, Captain, John Painter Ph.D. enjoys an international reputation in the Chinese internal martial arts and law enforcement communities. Dr. John Painter continues working and promoting traditional Chinese internal martial arts. He is working tirelessly to fulfill his promise to his teacher, that he will document in book and film the Daoqiquan system, train teachers and share Daoqiquan with anyone who is possessed of moral virtue and a kind heart. A current project is the creation of the Jiulong Baguazhang Association. The association has established Study Groups staffed by highly qualified Study Group Leaders in the United States and abroad. The purpose of these groups is to disseminate the teachings of the Jiulong Baguazhang style as health and martial art system.